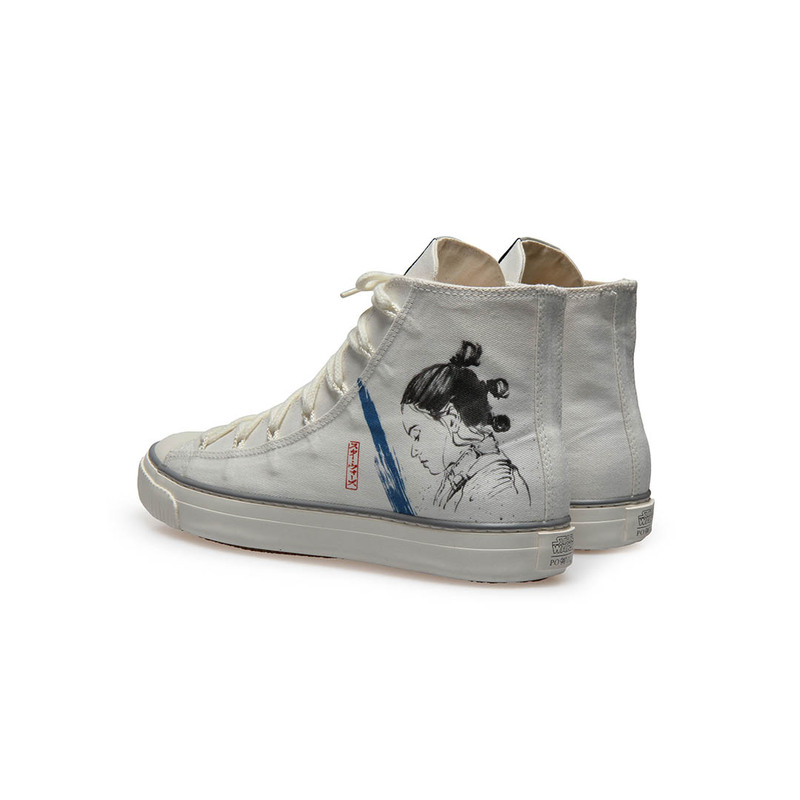 Today, London-based shoemaker Po-Zu launched the first wave of its new all-sneaker Star Wars line at Rhode Island Comic-Con. The 2019 spring–summer collection will kick off with a pair of magnificent high-top sneakers inspired by The Last Jedi. 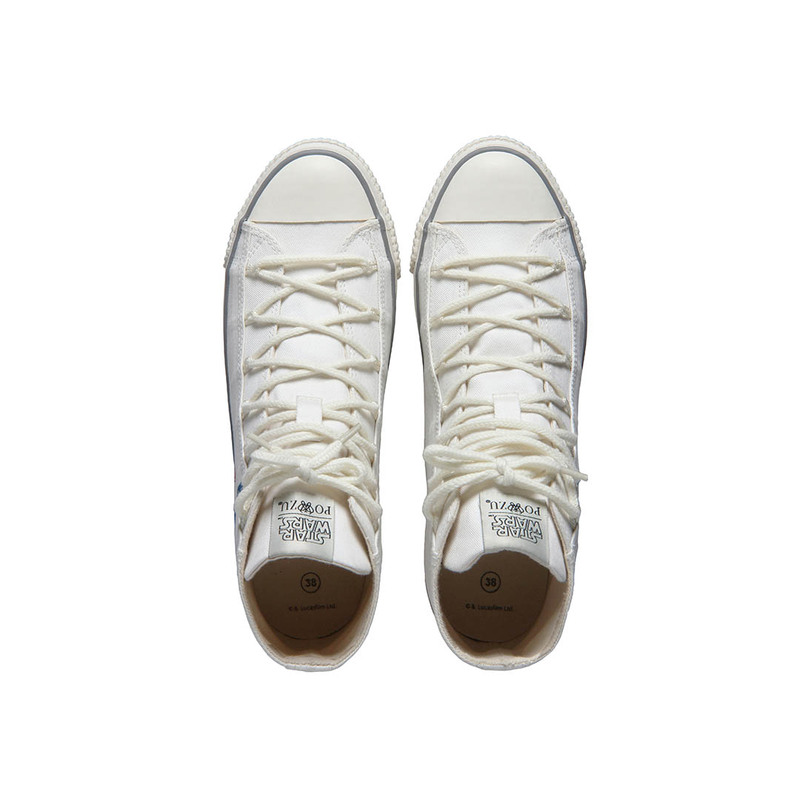 Both sneakers, which retail for £75 (about $97 USD), are manufactured in Sri Lanka using organic cotton canvas and fair-trade rubber, and come with a removable shoe insert made from coconut husks. All seven pairs in the new line are unisex and vegan-friendly, as well. 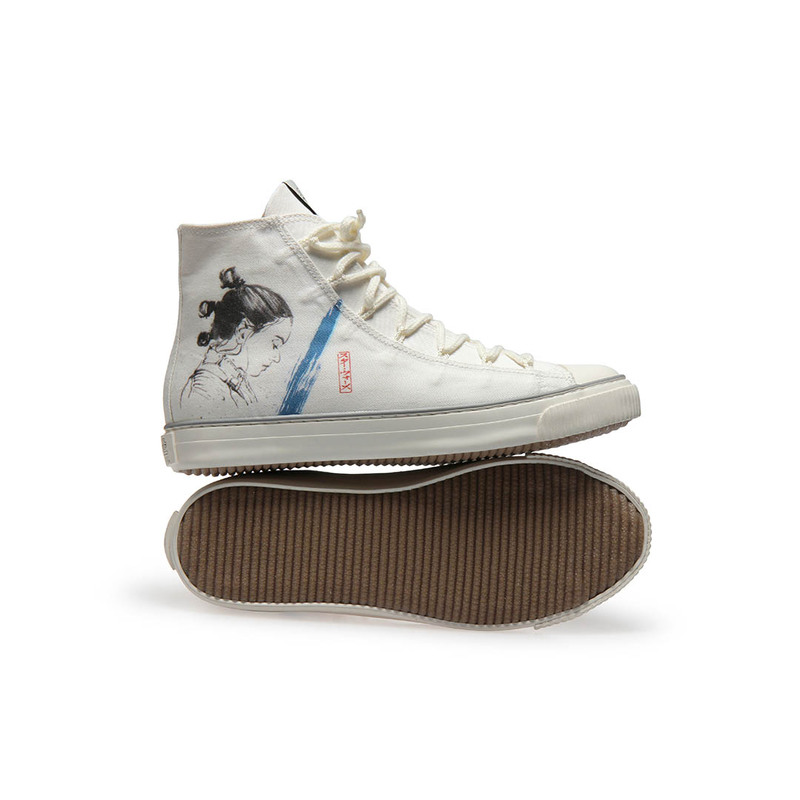 The quarter of the “Rey II” sneaker is adorned with a beautiful ink-wash portrait of the fan-favorite character. 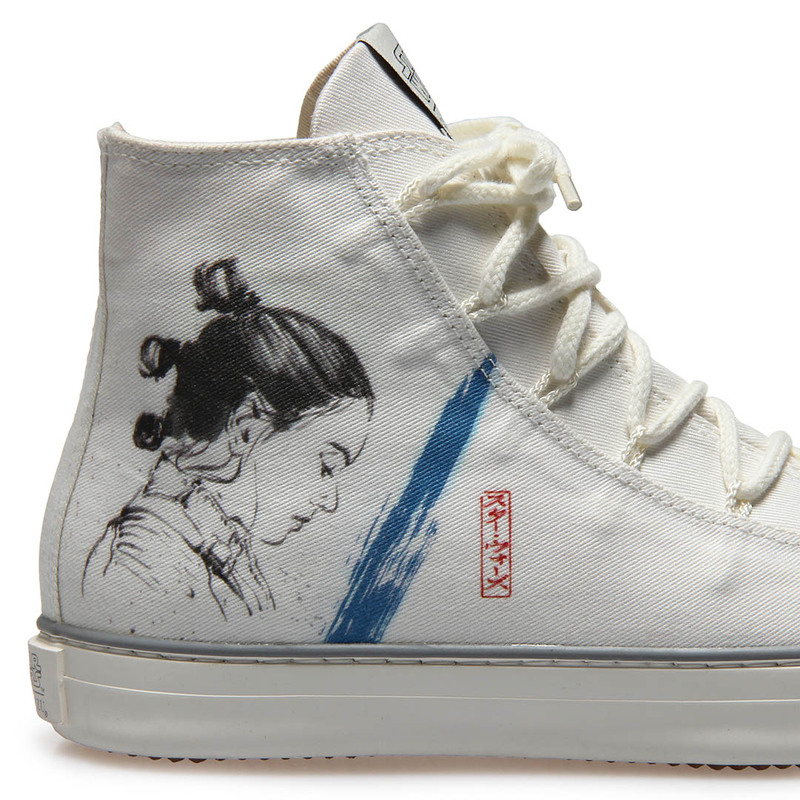 Beyond the white backdrop and the black profile of Rey, the shoe gets a splash of color from her blue lightsaber and red Katakana-style script. 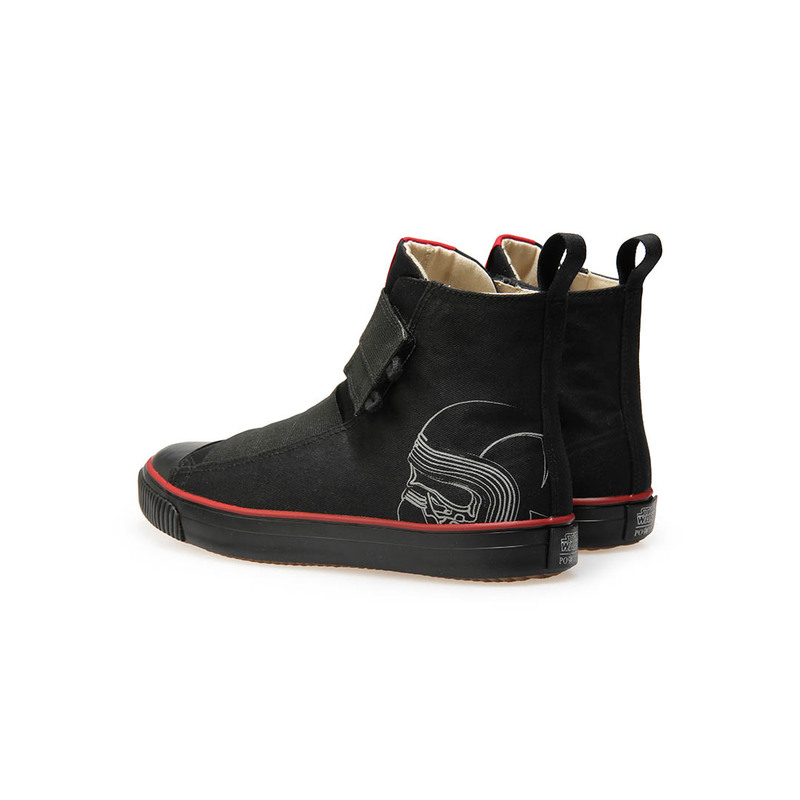 All black save for a red pinstripe and the silver contours of Kylo’s iconic mask, the “Kylo II” sneaker is striking. 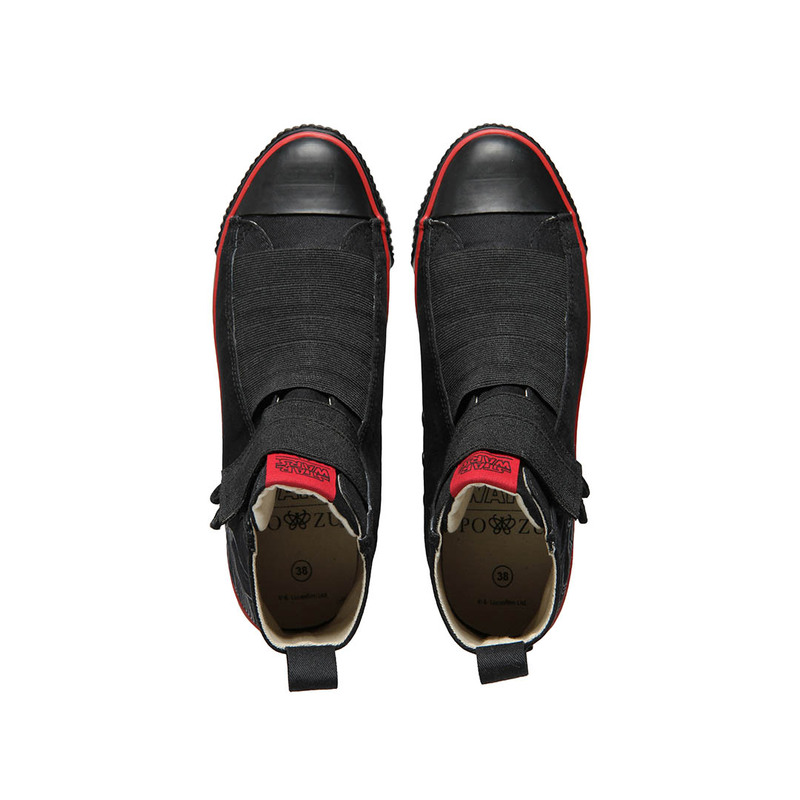 Its fastening feature is made of a combination of elastic, made to resemble Kylo’s costume, and a band of velcro for added adjustability and security. 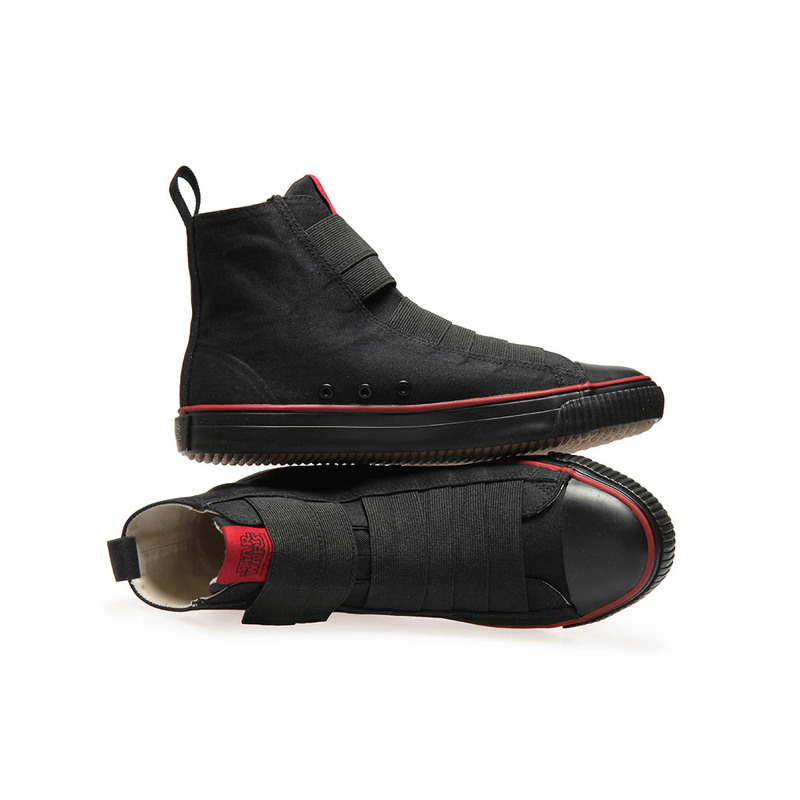 Initially, the design used elastic for the entire tongue of the sneaker, but Segal decided that velcro was a practical addition. 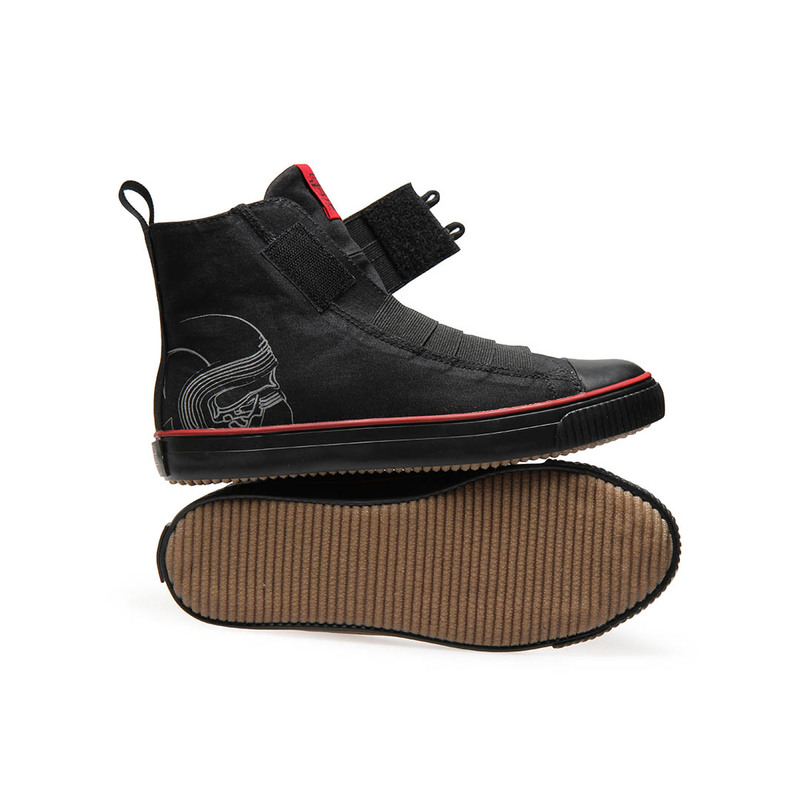 The rest of the line includes other bits of iconography from The Last Jedi, and is composed entirely of casual footwear, including a lace-up BB-8 sneaker, which is primarily orange, a fashionable First Order stormtrooper slip-on that shares some similarities with the Kylo II design, a T-65 X-wing lace-up featuring a repeated pattern printed on a blue backdrop, and a Resistance X-wing pilot lace-up that comes in both red and black. Typically, Segal and the design team work from official images and follow various ideas through trial and error. He might pick something memorable from a character’s costume, or something unique from a droid’s design, and begin to sketch out whatever comes to mind based on that initial spark of interest. A shoe then goes through several iterations, usually, before settling on the most inspired concept for prototyping. Once a prototype is finished and Po-Zu is pleased with it, the company carefully selects the right materials for the shoe and sends it off to one of their partners for manufacturing, located either in Portugal or Sri Lanka. “I wish I had a formula,” Segal says with a laugh. “You know, I could just sit down and follow the formula and spit out some designs.” So far, though, the Force has been with them. Po-Zu’s Rey II and Kylo II sneakers debuted today at Rhode Island Comic Con. Pre-orders for the shoes are expected to begin shipping in January.